Diamond FX is a professional water based make-up. 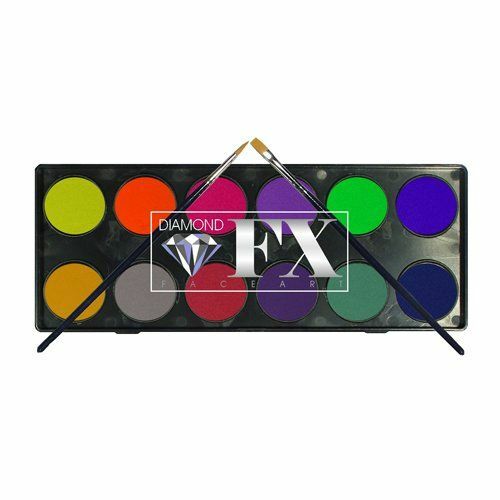 Diamond FX has got a high concentration of pigment which creates lively colours. With Diamond FX you can paint over any colour, even white on black, while still maintaining its brightness and density. The paint is easy to use and works great for line work as well as sponging.